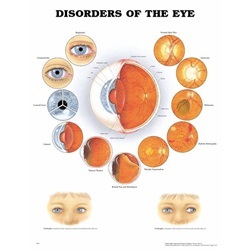 Disorders Of The Eye Diagram - 20" x 26"
"Disorders of the Eye" is a laminated eye diagram poster. 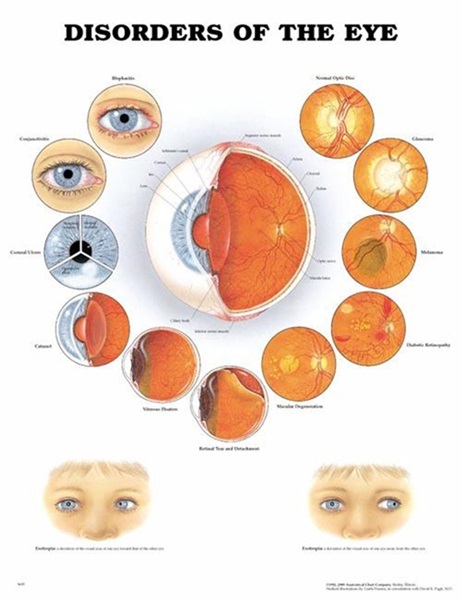 The clearly labeled chart helps to visually show the different disorders in the eye. Single sided and full color. Wall mount. Measures 20" x 26". Comes as singles.